The NSDA Primm Valley Resorts Fall Nationals once again lived up to its billing as the largest sand drag racing event of the season. More than five hundred entries competed for the prestigious Primm event victories. As usual, there was exceptional racing action. Let’s take a look through photos at the weekend’s top performers and noteworthy items from this great event courtesy of C3 Productions – www.c3productions.net. Richard Montiel, driver of the "Top Dog" Top Alcohol Dragster, passed away Wednesday night October 22. Richard was an accomplished sand drag racer, who broke many records along the way including being the first racer to break the 2 second barrier in a Buggy and the first Top Alcohol racer into the 2.4 second zone. Richard's monumental 2.49 E.T. Top Alcohol pass in September 2004 stood as the record for nearly four years. NSDN extends its condolences to the Montiel family and the Top Dog crew. 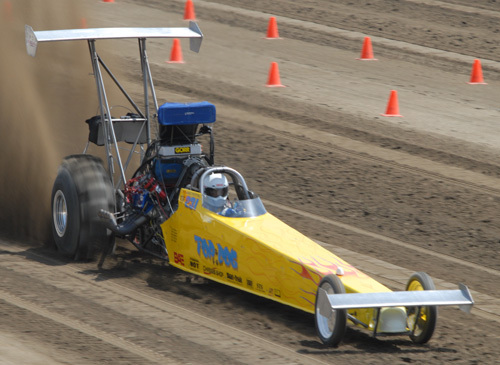 Richard will be greatly missed by the sand drag racing community. "In any race, the hardest mile is never the first, but almost always the last." I don't know who said it or wrote it, but isn't it true? 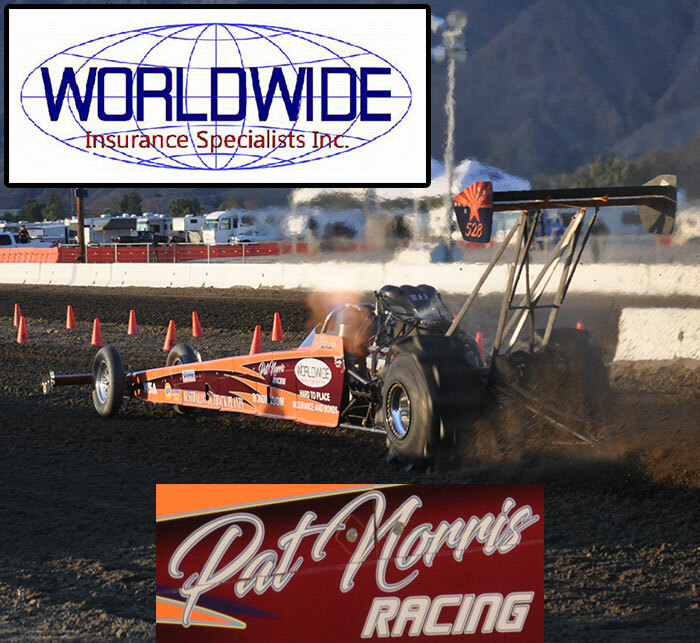 This coming weekend, I will be in Primm for the NSDA Fall Nationals, enjoying some fine west coast racing. That's not the only reason I'll be enjoying it though, as it is also the last race I have to work for a while. You see, Primm is the final race weekend of a 9 week stretch that we as a family have either worked at or raced a sand drag event every weekend! We have done the inaugural Ionia Sand Drags event (twice if you count the rain out), the MSBA Fall hillclimb, the final 5 races of the WMSD season, and even a car show to do some race promotion. I tell you, it has been quite a stretch. Summer vacation has ended, my son is in 1st grade now, and some of my volunteer activities have restarted so it has been easy to get lost in what's going on. 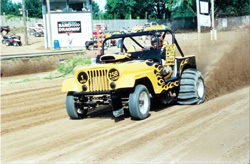 Thanks to Rich Simon for submitting the results from Show Me the Money 2008. Sunday saw the conclusion of the NSDA Primm Valley Resorts Fall Nationals as well as the 2008 NSDA Point Series season. Dennis Rieck ended up as a double down winner in the "Hammer Down" dragster taking home the Top Fuel title over Pete Schenk. Dan Allen debuted his brand new Lucas Oil car and proceeded to take home Sunday's Top Alcohol class victory. Tim Martin was a three time winner on the weekend in the Top Eliminator class; winning both of the weekend's events and clinching the Top Eliminator point series championship. More of Sundays winners were Joe Janoe (Pro 1), Donnie Burns (Pro 2), Tom Hartman (Pro 3), Don Boespflug (Motorcycle Pro 1), and Rudy Kurtz III (Motorcycle Pro 2). With a tough month of September behind us, October is upon us and the biggest sand drag race of the season is coming up. 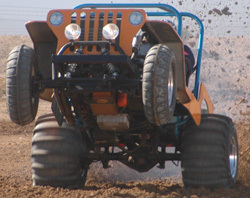 The NSDA Primm Valley Resorts Fall Nationals goes off October 15-19 in Primm, NV. This race is also the final event of the 2008 NSDA Point Series season. A twist in the race schedule sees two full races within the weekend for most classes. With point series championships at play and many racers from across the country showing up to play spoiler, this has the makings to be one of the most entertaining sand drag races in history.